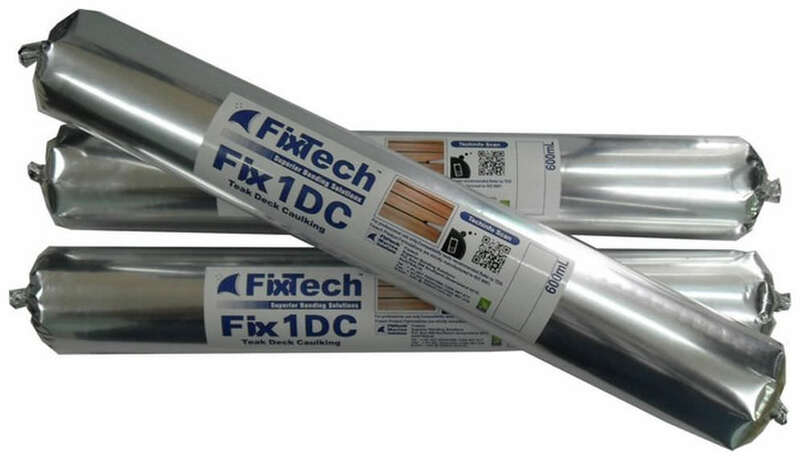 Fix1DC is a high quality single component adhesive sealant with a low viscosity, excellent adhesive properties designed for Teak and Synthetic Teek caulking. Fix1DC is moisture curing and forms a permanent elastic product. It is chemically neutral, suitable for use in marine, transport and construction areas, where a strong flexible UV and soap resistant rubber bond is required. We recommend Fixseal Epoxy to be used in conjuction with Fix1DC for best results.